January 9, 2001 – New Canaan, CT – Irving Levin Associates, Inc., an information firm specializing in health care and senior care investments, announces the launch of The Dealmakers Forum, a new quarterly supplement, to its family of publications. This supplement accepts paid announcements from pre-approved firms of mergers and acquisitions, executive appointments, loans, investments, financial services and other information of interest to senior level executives in the health care marketplace. The Dealmakers Forum provides a direct channel between the senior management of health care companies and dealmakers through a respected publisher. “Over the years, our banking and investment clients have asked us to create a mechanism which would allow individual practices to communicate their investment criteria, services and done deals directly to the top management of health care companies. On the other hand, many health care executives have asked us to solicit investment funds or request proposals of services from the financial markets. The Dealmakers Forum is an easy and straightforward way to bring the two parties together and a natural extension of our services to our subscriber base. ” explains Eleanor Meredith, Publisher. The print version is circulated quarterly to subscribers of these bi-weekly newsletters: The e-Health Investor, The SeniorCare Investor, Jenks Healthcare Business Report, and The Health Care M&A Monthly. The online version includes direct email & web site links to dealmakers’ websites. For more information on The Dealmakers Forum, or to subscribe to any of Irving Levin Associates, Inc.’s publications, call 1-800-248-1668. 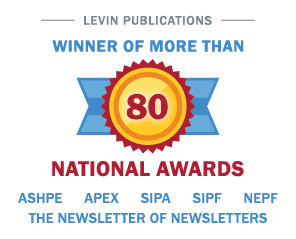 Irving Levin Associates, Inc. has been the leading source of information on health care and senior housing since 1948. HEALTH CARE M&A MARKET REACHES HIGHEST LEVEL SINCE THE FOURTH QUARTER OF 2000 According to Irving Levin Associates, Inc.
HEALTH CARE SERVICES MERGERS AND ACQUISITIONS HIT SEVEN-YEAR LOW According to Irving Levin Associates, Inc.